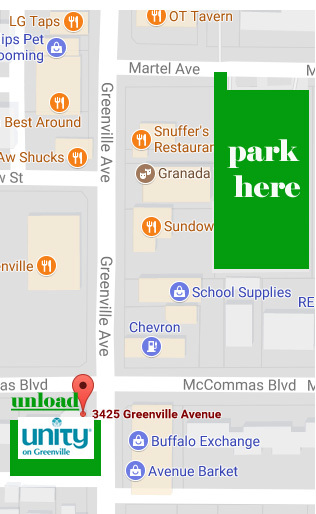 hosted by Unity on Greenville. To reserve as Vendor Spot, please email Karen Romestan at karen romestan@dallasunity.org. As an intern, Ms. Hawken had the opportunity to treat patients in many varied settings, including working alongside MDs, RNs and counselors treating terminally ill patients at the San Diego Hospice, treating the public at a no-cost community clinic run in conjunction with the University of California, San Diego (UCSD) School of Medicine, and a specialization in acupuncture orthopedics/sports medicine at the UCSD athletic training center in La Jolla, California. Healing the inner child is my passion, knowing that changing the belief system born in childhood is the beginning of healing. I have been where you are. Peace is possible. A path to peace is a project of love for me. I have been privileged to experience through the use of different modalities, a way to peace. I have combined them in order to share my experience with you. Your experience will be unique. Your healing will occur in a way that is perfect for you. Almost fifty years ago, while living in a hippie commune in Eureka Springs, Arkansas, I became a dedicated fan of recycling, buying used whenever possible, and, in general, trying to walk as lightly as possible on the earth, and, you know, making peace, love, and art instead of war. I have a particular fondness for making yard art by painting on metal trash cans, decorating old kitchen items in retro colors, and constructing shadow boxes with found objects, among other things. I am endlessly amazed by what people throw away, or sell at a yard sale for a buck or two, and endlessly dedicated to keeping as much “art” out of the landfill as possible. Intuitive Chef Gail is an organically grown Food and Medical Intuitive. She is most known for "Food IS Talking" Intuitive Food Compatibility Testing. Over the years her gifts have expanded. She now incorporates all of her spiritual gifts and intuitive skills to uncover the energetic and physical root of dis-ease and the resolutions to bring the body back into alignment with its natural, God-given health. As well as working remotely, she is also available in person at The Healing Sanctuary Institute of Texas in Dallas. I feel so accomplished after I've finished one of my paintings. I put all my feelings and emotions into them and enjoy people's reactions to my artwork. It makes me happy when people love my paintings. My favorite art pieces are land, seascapes and galaxies. I just love to paint all day! I am from Würzburg, Germany. Roughly 20 years ago, I moved to Killeen, TX, and just recently moved to Irving. Now that my children are all grown up and I have more time to paint. Light is an essential nutrient for life! Sunlight triggers a cascade of beneficial biochemical actions and reactions in living tissue. Polychromatic light therapy (PLT) delivers energy LED diodes similar to sunlight and delivers it to the body in a safe, comfortable, and easy way. Why can’t companies just put what’s in the bottle on the label? That doesn’t seem to be the case as many companies find it easier to deceptively leave off ingredients to boost sales. Companies also list paraben-free or sulfate-free, natural or organic on their products without actually being any of these specifications. Getting away with this deception is easy, because there’s no government regulation or rules to abide by when labeling products. Money, sales, marketing and advertising in most cases, take precedence over transparency and safety. Self-regulations of industries associated with human health repeatedly have failed and continue to endanger consumers’ health. I have been a Certified Health Coach for two years. I work with clients to help them achieve optimum health through diet and lifestyle changes. When I was introduced to Bemer almost two years ago, I knew this was something that I wanted to include in my practice as it offers a wonderful therapy to go along with diet and lifestyle changes and can help my clients reach their health goals. Our circulatory system distributes hormones, immune cells, and other signaling molecules. And this is where BEMER devices come into play. 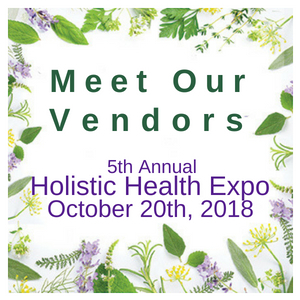 You'll be able to sigh-up and experience it yourself at the Holistic Health Expo on October 20th. I grew up in a household where astrology and fortune telling were practiced daily. My mother, Connie Hughes, was a prominent astrologer in the Dallas area and began teaching metaphysics to me at an early age. Even though I went on to college, I continued to expand my knowledge and practice of metaphysics. Since then I have studied and practiced to perfect my psychic abilities. Raising two successful children on her own and marrying the "love of her life"; she believed life had come full circle. In 2004 while earning her BA degree, she became chronically ill with devastating symptoms such as severe pain, brain fog, insomnia & fatigue, paralyzing anxiety/panic attacks, muscle weakness and hair loss. She was diagnosed with Hashimoto's, an autoimmune disease for which the medical community has no cure. Refusing opioids and other synthetic drugs; Theresa never gave up searching for a natural solution to improve the quality of her life. 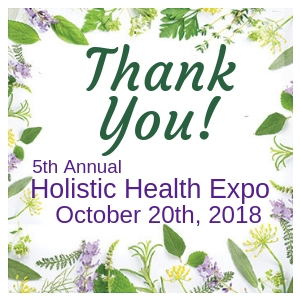 Holistic Health Expo. You were the reason it was an outstanding success!